Known for their intelligence and independent spirit. Energetic, intelligent, independent, and clownish. Can be stubborn or protective. Enjoy sports such as retrieving, flyball, Frisbee, hunt and field trials, herding, sledding, carting, agility, tracking, and rally and competitive obedience. Close supervision needed around children because their exuberance may lead to accidental injury; also may not get along well with other dogs. 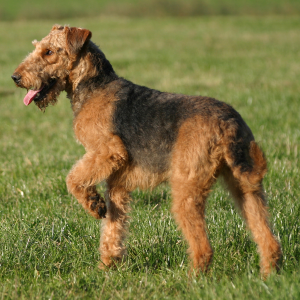 Reward-based training may be useful in reducing stubborn tendencies such as chasing wildlife, refusing to disengage from an activity, or digging. 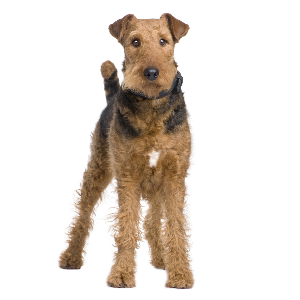 These loveable dogs are known for their intelligence and an independent spirit that can sometimes be interpreted as stubborn. 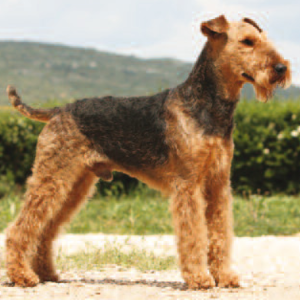 They get their name from the Airedale and Wharfedale regions of Yorkshire – where they were originally bred to chase away mice and rats. 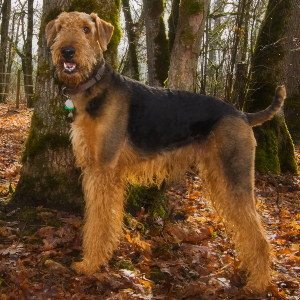 Over 160 years ago, the breed was crossed with Otterhounds, which gave them their larger size, a much keener sense of smell and made them fantastic swimmers. 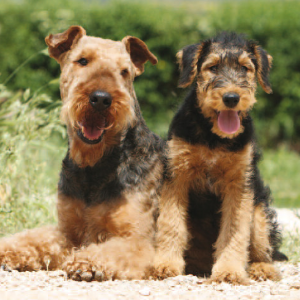 The breed was officially recognized by the English Kennel Club in 1886 and by the American Kennel Club in 1888. 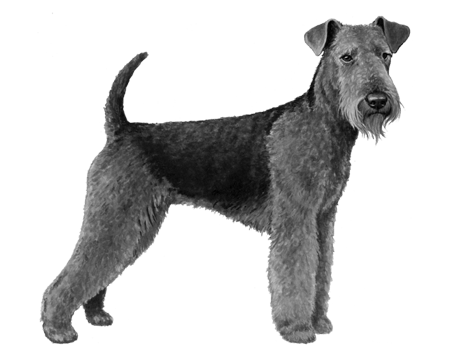 They were one of the first ever police dogs and are often used in the military. 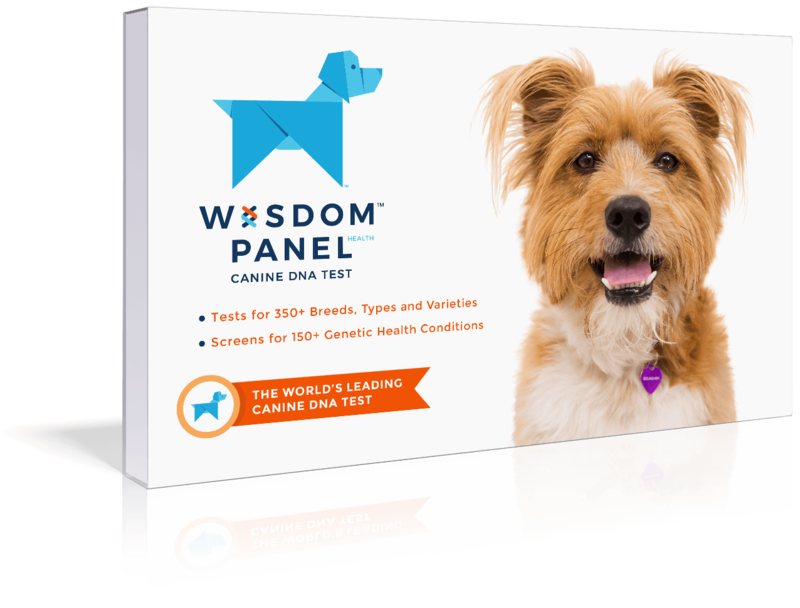 Today, they’re just as likely to be deployed in our homes, as valued members of the family.